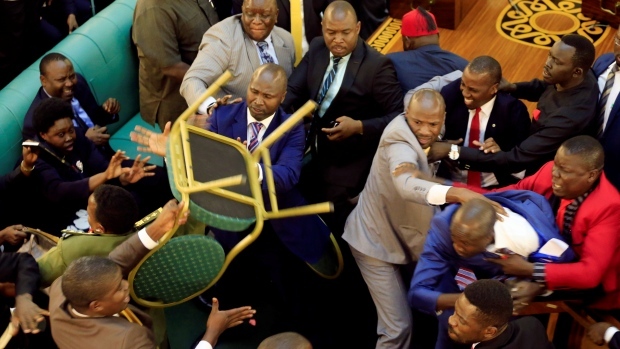 Ugandan parliament turned into a boxing ring on Tuesday amid efforts to introduce legislation that could extend the President`s decades-long hold on power. Tempers flared and lawmakers were filmed brawling after it was alleged an MP had brought a gun into the chamber. The speaker ordered a search but no gun was found, local media reported. 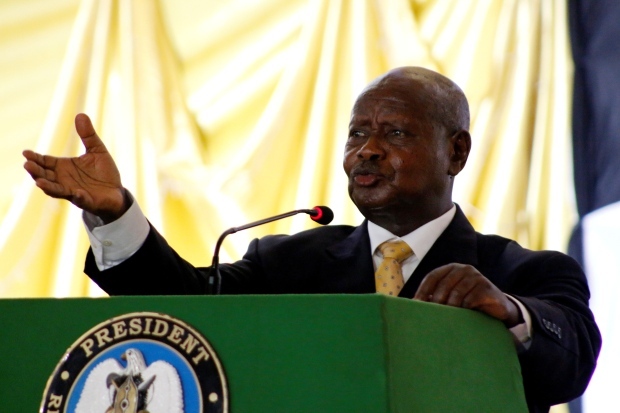 The age-limit issue is controversial because long-standing President Yoweri Museveni is 73 years old and the limit for re-election is capped at 75. President Museveni has been in power since 1986 and democratically elected as president since 1996. But the current constitutional age limit would prevent him from standing for a fourth term in the 2021 elections. His governing party, the National Resistance Movement (NRM), has been involved in a contentious bill to revise the country’s constitution. 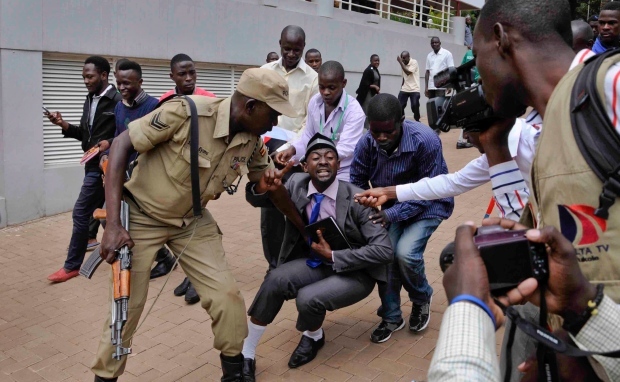 Earlier, police had fired tear gas at some protesters in the capital Kampala before the debate began. A leading opposition figure was also reportedly arrested trying to mobilise protesters, a police spokesperson said. 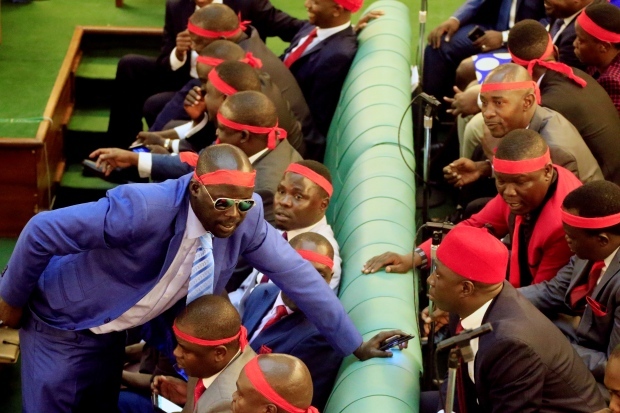 Last week, parliament had to be adjourned after opposition MPs chanted, heckled and whistled over the age-limit issue.